We’ve been doing it every year since the space opened. The early summer theoretical lecture at castillo/corrales has become an institution of sorts in the Parisian artistic and intellectual calendar. Just remember last year when Portland-based writer and cultural analyst Matthew Stadler invigorated a crowded room here with his lecture on the Zwischenstadt as the characteristic urban form of the present. 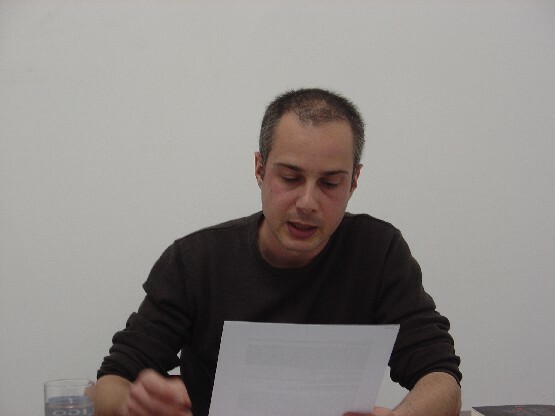 Next Wednesday, on June 18th, at 8 pm, French sociologist, professor of Political Science at ENS-Lyon and castillo/corrales co-founder Boris Gobille will take up the challenge and deliver a talk entitled “La vocation d’hétérodoxie” (“A plea for heterodoxy”). Departing from an analysis of the events of May-June 1968, the lecture will address the possible articulations between historical contexts, political events and dissident subjectivations. The lecture will be held in French. Due to limited seating, early arrival is advised.